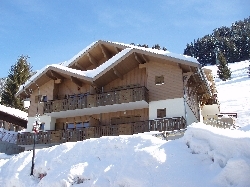 HOLIDAY HOMES TO RENT IN RHONE, RHONE ALPES. Welcome to our selection of holiday homes to rent in Rhone, France. The departement of Rhone is located in the east of France, within the larger region of Rhone-Alpes. The major city of Lyon is located within this area, and is one of the most popular cities with visitors thanks to its impressive historical architecture. Rhone is also known for its fine wines, particularly Beaujolais from the vineyards in the north of the departement and Cotes du Rhone in the south. Many of these vineyards are open to the public, with tours often including a sample of the wine. Outside of Lyon, the area is blessed with beautiful natural scenery, and plenty of locations for enjoying outdoor activities. The medieval and Renaissance city centre of Lyon is a UNESCO Word Heritage Site, and after just a short time strolling around its cobbles streets, covered passageways, hidden courtyards and Gothic cathedral, you'll be able to see why. There are also some areas of Roman ruins in Lyon, including the Romains-de-Fouvieres theatre, where you can enjoy an impressive view over the city. Lyon also has its own ferris wheel in the city centre, which is another way to get an aerial view of the maze of streets that make up the historic centre. In December, all these monuments, buildings and bridges are colourfully lit as part of the city's Light Festival. Once you have had your fill of exploring the old town, there are plenty of other attractions in Lyon, including a number of fine art galleries, a hospital museum and even one dedicated to puppets! In the more modern part of town, there are several main shopping streets that have all the designer labels, as well as a local market where you can buy fresh produce. If you need to get away from the crowds, head to the Tete d'Or Park where there are cycling and walking paths, a lake for boating and even a small zoo. You could always head out of town to the Lyonnais mountains where the hiking paths are a bit more challenging, but the scenery is much better too. As well as the buildings within the city of Lyon, there are other areas of Roman ruins and remains in the Rhone region. The Saint-Romn-en-Gal site in the far south of Rhone is an excavated site featuring the remains of a small Roman settlement. A nearby museum tells you more about Roman life in this part of France and features some of the artefacts found during the excavations. Just outside of Lyon is the ruined Gier aqueduct, with many of its arches still intact. Looking for self catering holiday accommodation in Rhone? Then below is a selection of gites in Rhone and villas in Rhone that can be rented direct from their owners. You can either click on each listing for further details or you can use our search engine on the left if you are looking for something in particular.